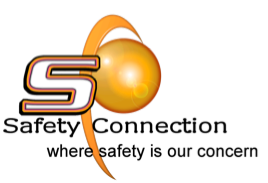 Safety Connection offers Equipment courses designed to comply with current legislation, regulations and industry standards. Our courses are developed using an adult learning model, so learners can expect a combination of theory and practical "hands on" training in addition to understanding and maneuvering the equipment. Join one of our regularly offered courses or call us...we can develop a course tailored to meet the specific needs of your organization at no extra charge. This training consists of 3.5 hour classroom theory followed by a practical evaluation of each driver on a course that is setup within your facilities. All materials, manuals, Dvds, and equipment are supplied. Each successful driver receives a valid wallet card confirming their competency. Overhead pendent/radio control crane training including theory and practical. To comply with legislation, Section C1 of the Occupational Health and Safety Act. To apply for these courses or find out more, contact us today!